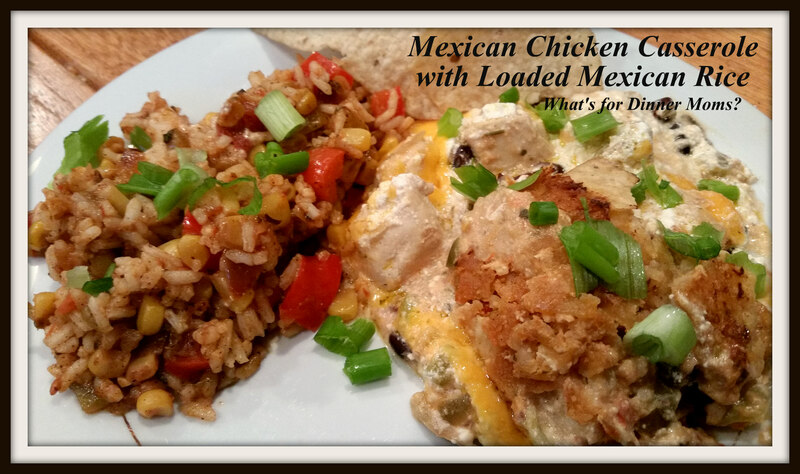 Mexican Chicken Casserole with Loaded Mexican Rice – What's for Dinner Moms? Since it’s Cinco de Mayo we decided to celebrate! Okay, not really, but since my daughter and I will be out-of-town on Cinco de Mayo we decided to celebrate a bit early. My children love celebrating food holidays. Cinco de Mayo, Chinese New Year, any holiday that centers around food and culture, they will be happy to celebrate. I did a bit of research on Cinco de Mayo to find out that this “holiday” celebrating the Mexican army’s unlikely defeat of France at the Battle of Puebla. The Battle of Puebla was actually a very minor battle but the victory was more symbolic because the French Army was expected to win easily. This is a very minor holiday in Mexico mostly celebrated in Puebla but has become more a celebration in the United States of Mexican-Americans. This was delicious! Lots of spice with just a hint of heat. My son could easily add hot sauce to his rice and chicken dish while the rest of us were happy with the spice. The chicken dish would make a great dip too if the chicken were shredded instead of cut into chunks. My kids liked mixing the rice and chicken dishes and eating it with tortilla chips instead of a fork. Serve with a green side salad to complete the meal. Preheat oven to 350 degrees. Prepare an 8″ square pan with non-stick spray. Cook chicken with olive oil in a large skillet over medium heat. Once chicken has cooked through add salsa and cream cheese to chicken. Stir until cream cheese has completely melted. Add chiles and black beans to pan and heat through. Taste and adjust spices as necessary – add salt, pepper, cumin, or chili powder as desired to enhance flavor. Place crushed tortillas in the bottom of the prepared pan. Cover tortillas with chicken mixture. Place sour cream over the top of the chicken (it will melt in). Sprinkle tomatoes over the sour cream. Cover with cheese and bake for 25-30 minutes until center is bubbly. Remove pan from oven and allow to sit for 5 minutes before serving. Add green onions for garnish if desired. Place olive oil in a skillet over medium heat. Add onion, cumin, chili powder, paprika, oregano and salt to pan. Saute onions until they just start to soften and entire pan becomes fragrant, about 3-4 minutes. Add red pepper and green chilies to pan. Stir well. Add a bit of olive oil if pan starts to become dry. Cook peppers 3-4 minutes in onion mixture. 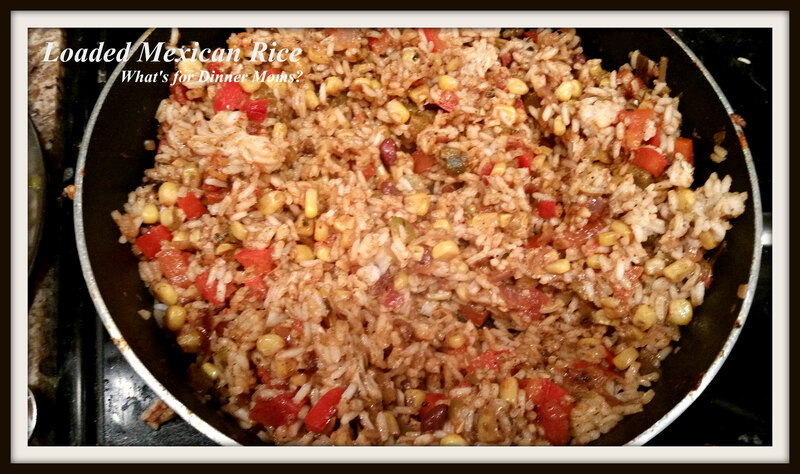 Add corn, salsa, and cooked rice to onion mixture. Stir well and heat through. Taste and adjust spices as necessary. Remove from heat to serve. I’ve always thought it funny Cinco de Mayo was so big in the states and not Mexico. We love a reason to eat and drink, don’t we?? The meal looks great. I think I’ll try it. I’m always looking for something my husband will like. Thank you. The kids liked it all mixed together. I loved the flavors in the rice. I love anything with a Mexican flair!